The roadblocks to measuring diversity and inclusion no longer exist. It is possible to evaluate so-called soft projects with a well-defined diversity ROI process and methodology. There has been a shift from faith-based to fact-based investing. Soft functions such as a leadership development, employee engagement or diverse work team programs are often assumed to be making a difference. This suggests it would be difficult to measure and place a monetary value on the project, and more difficult to connect the particular initiative to a business impact measure. Things have changed. These roadblocks no longer exist, and it is possible to evaluate so-called soft projects credibly with a well-defined diversity return on investment process and methodology. Executives want to see their organization engage in fact-based investing and show the monetary value of that investment with credible data. For example, a study conducted by Chief Learning Officer magazine’s Business Intelligence Board involving 335 chief learning officers. It reveals interesting results describing the current and future use of ROI. According to the “2015 Measurement and Metrics” study, 36 percent of the CLOs use business impact data to show the impact of the training organization on the broader enterprise; 22 percent of the CLOs use ROI data for the same purpose. Some 23 percent plan to implement ROI in the next 12 months, and 10 percent plan to implement it in the next 12- to 24-month time frame. Also, 17 percent plan to implement it with no particular time frame. This means almost 50 percent of the CLOs plan to implement ROI in the future. When that number is added to the current use, this suggests that 71 percent of CLOs are either using or plan to use ROI in the future. Diversity and inclusion leaders would be wise to make similar plans. The study also revealed a desire to see the value of projects and programs before they’re implemented. Before the recession, this was not so much of a concern. However, since the recession, this is a typical request, particularly if the investment is large. If you are building a $4 million wellness and fitness center, you need to show the ROI in advance. If you plan to implement a $5 million diversity leadership development program, you might have to show the diversity ROI in advance. Forecasting in advance is important, allowing everyone to consider how the project works and how it delivers results. Companies often struggle to evaluate whether their diversity and inclusion initiatives meet business needs and if they are worthwhile investments. Knowing how to construct and use diversity ROI-based metrics and predictive analytics is a mandatory skill and competency that all diversity and inclusion professionals must possess to be seen as credible. When diversity professionals are competent and capable of properly using such approaches — showing the costs versus benefits of major diversity and inclusion programs, this demonstrates the ultimate level of accountability. It demonstrates a value that executives understand, appreciate and desire. The beauty of predictive analytics for diversity and inclusion is that it uses leading measures — intention and adoption — as a signal of results or impact. If leading indicators are below predicted success thresholds, adjustments can be made to realize desired results. This reduces risks associated with the investment and takes diversity measurement applications well beyond “faith-based” assumptions to “fact-based and evidence-based” diversity and inclusion outcomes. They provide a comprehensive “chain of impact” to demonstrate the specific diversity and inclusion affect link. So, how do your diversity and inclusion efforts measure up? What are you doing to show that the diversity and inclusion initiatives you deliver add “evidence-based” and “fact-based” value to the organization and its bottom line in real measurable terms? Sharing your ideas can provide a “teachable moment” for others. What challenges do you face? Let me hear from you, and I will provide a few recommendations. I look forward to hearing from you. Dr. Ed Hubbard is the President & CEO of Hubbard & Hubbard, Inc., and recognized as the Founder of the Diversity Measurement and Diversity ROI Analytics fields. Dr. Hubbard is an expert in Organizational Behavior, Organizational Analysis, Applied Performance Improvement and Measurement Strategies, Strategic Planning, Diversity Measurement, and Organizational Change Methodologies. He holds a Practitioner Certification and Master Practitioner Certification in Neurolinguistic Programming (NLP), a Neuro-science discipline. Dr. Hubbard earned Bachelors and Masters Degrees from Ohio State University and earned a Ph.D. with Honors in Business Administration. Dr. Hubbard can be reached at edhub@aol.com. Notice that the first ten words in each of the definitions are the same. However, the reasons-the “Why!”-for collecting and analyzing the data reflect a notable difference in the philosophies behind each definition. The first reflects a philosophy that as an evaluator, you are interested in knowing only if something worked, if it was effective in doing what it was supposed to do. The second statement reflects the philosophy that evaluation makes claims on the value of something in relation to the overall operation of a Diversity intervention, project, or event. Many experts agree that an evaluation should not only assess program results but also identify ways to improve the program being evaluated. A Diversity program or initiative may be effective but of limited value to the client or sponsor. You can imagine, however, using an evaluation to make a decision (the second definition) even if a program has reached its objectives (the first definition). For some, endorsing Diversity Evaluation is a lot like endorsing regular visits to the dentist. People are quick to endorse both activities, but when it comes to doing either one, many Diversity Practitioners are very uncomfortable. Evaluation is an absolutely essential ingredient when you are attempting to close performance gaps or improve performance. It is the only way to determine the connections between performance gaps, improvement programs, and cost-effectiveness. Evaluation is one of the most cost-effective activities in diversity performance improvement, because it is the one activity that, if applied correctly, can ensure success. It is often resisted, however, because of the fear that it could document failure. Evaluation is the process that helps us make decisions about the value of all the activities we have been engaged in and whether they are a worthwhile investment for the organization. Without systematic evaluation we are left with “wishful thinking” or self-service impressions that are often wrong and sometimes dangerous. All evaluation studies must satisfy two criteria: reliability and validity. Establishing these criteria up front will help you communicate your expectations to the C-Suite and any vendors who deliver programs and assist in your Diversity initiatives. Reliability, the simpler of the two, requires all evaluation methods give the same results each time we measure. This protects you against measures that change constantly and produce different results every time they are used, because of the measuring instrument. Reliability is relatively easy to achieve, yet its importance is often overlooked. To overcome this you must utilize specific Diversity science procedures and instruments for measuring the aspects of Diversity performance and goal achievement that are reflected in the initiative’s objectives, strategies and the organization’s performance gaps. Next, you have to standardize these procedures such that they measure in the same way every time. These activities can be perfectly compatible with the way correctly designed Diversity initiatives are structured and administered. The second criterion, validity, requires that all evaluations measure exactly and only what it is supposed to be measuring. This criterion is one of the requirements most often violated in Diversity performance and other assessments. For example, if we attempt to measure the amount of knowledge employees gained in a Diversity Competency Training program using a “Reaction” form that asks them how much they learned, the results will indicate how much employees “think” they learned, not how much they “actually” learned. Reaction forms too often report high amounts of learning when little occurred and vice versa (Clark, 1982). Consequently, training reaction evaluation could be reliable but not valid in these cases, because the actual results were the opposite of what the invalid instrument reliably reported! If the instrument reported the same invalid result each time it was used, it is still reliable—which is why we need both reliability and validity for all evaluation activities. An example of a valid measurement of learning would be a Diversity competency problem-solving exercise or memory test (provided they represented the knowledge and skills the participants learned during the training. The more you make use of Diversity sciences and research evidence about the event being measured, the better your chances of for validity. Performance evaluation systems such as the Hubbard 7-Level Evaluation Methodology, integrates these approaches in the process. Conducting a comprehensive Diversity Evaluation is the only true way to know if Diversity and inclusion programs or initiatives are delivering the outcome results expected by key stakeholders. It is essential that Diversity Practitioners master critical Diversity and Inclusion evaluation methods using technologies that are rooted in Diversity ROI® science. Why? Because the perceived value and credibility of what we do to be seen as a true Business Partner and Professional depends on it! Diversity Process Consulting or Intervention Consulting: How Do We Demonstrate Our Unique Value? The creation of an effective Diversity measurement system and “best” practices cannot be a mechanical modeling exercise. It must be preceded by an inspection and utilization of basic business principles. It must focus on organizational and departmental strategic thinking as well as an assessment of the desired quality of work-life. Developing the actual measures is easy compared to the amount of time that should be spent thinking about what is important to the organization’s strategic business objectives and the expectations of the diversity measurement process. Each step in the process logically builds on the previous step which generates an evidenced-based framework that creates a “Best Practice” method for proving Diversity’s link to performance. With proper training and skill/competency development, one of the more critical roles a Diversity Practitioner and Professional can perform is that of a Diversity Performance Consultant/Technologisttm. This role in the Hubbard & Hubbard, Inc. Diversity Discipline Framework requires the Practitioner to design, develop and deliver or evaluate diversity performance solutions; maintain and apply an in-depth working knowledge in any one or more of the diversity performance improvement areas of expertise; take a disciplined approach to assessing individual and organizational effectiveness in the midst of collective mixtures of differences and similarities, diagnose causes of diversity tensions from differences, similarities and complexities, and recommend a set of interventions; as well as design solutions to improve diverse workforce performance and/or solutions to improve the organization’s performance. I have always viewed Diversity ROI & Inclusion methods as “performance improvement technologies”. 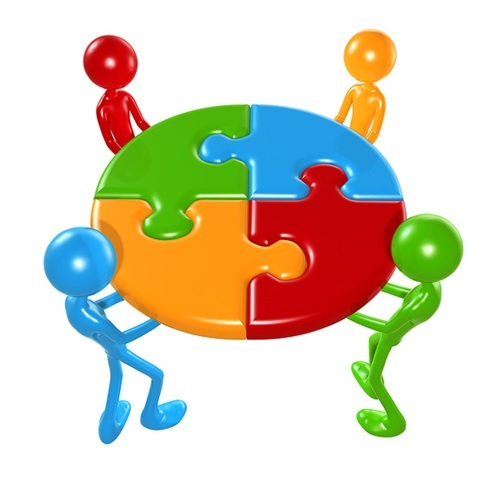 I am also a strong supporter of participatory approaches to performance improvement, from involving stakeholders in the identification of needs and their causal factors to determining solution alternatives, selecting the solution, planning and managing the change, and monitoring and evaluating the change. This active stakeholder participation is critical to the sustainable success of any Diversity & Inclusion (D&I) intervention, not only because we gain real buy-in from stakeholders, but also because part of what we do as rigorous Practitioners ultimately, is to change the way people think about and approach D&I performance solutions in organizations. Diversity Intervention Consulting is primarily focused on a specific transaction, the provision of an intervention (e.g., Cultural Competency Skills for Leaders training), whether it is a specific process or product. In this case, the performance consultant, as “expert,” carries the bulk of the responsibility for delivering the intervention, but does not typically stick around for the consequences of such interventions. Partially rooted in the sociological tradition in new systems theory which views organizations as self-organizing social systems, Performance/Process Consulting provides a different approach. With a Performance/Process Consulting approach, however, the Diversity Performance Consultant/Technologisttm and the client are equal partners who share the responsibility for the desired change. There is a reduced chance of falling into fads or trendy solutions that may be insufficient or not fully applicable to the organizational realities, because both the Diversity Performance Consultant/Technologisttm and the client are partners in the change and its consequences. Both have a stake in the success of the intervention, and both learn lessons along the way. Moreover, they involve others in the organization, so that these lessons learned benefit more than just a few. I am convinced that the real value of our work is much more than a roster of interventions (no matter how evidenced-based); rather, it is the paradigm shift that we contribute to in the course of our involvement with our stakeholders. Our ultimate value is in the sustainable and positive change of the organization’s performance system that is now able to operate at its goal or outcome level. While neither resource was utilized exclusively, it is certainly worthwhile for us to reflect on our own approach and determine whether we consciously or subconsciously assessed the situation to determine what balance or blend would be of most value for the given situation. It is always helpful to review our Performance Consulting approach because of the wide range of relevant topics and ROI-based metrics that fit under the performance improvement umbrella. I am fond of saying that “focusing on tactics without a strategic framework is like learning to run faster in the wrong direction”. You cannot make a strategic contribution without a tight alignment and linkage to the business objectives and success metrics of the organization. If you want to have your interventions resonate with the C-suite and line managers of the organization, they must be based in the real bottom-line needs that drive organizational performance. Whether the organizational initiative is diversity training to teach cultural competency skills, selling products to emerging market clientele, innovating new products and services for a global market, delivering healthcare services, serving governmental constituents, meeting a wide range of student needs, improving the customer service experience, etc., “strategically aligned” diversity performance strategies have the best chance at success and sustainability. Let’s take a look at an example that helps to clarify this relationship. 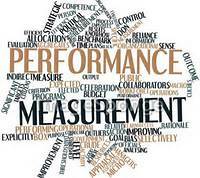 First, among the organization’s strategic objectives, you find a series of crucial performance areas. One of these areas focuses on an objective of improved customer service. Based upon the importance of this area to the business, the diversity organization has created a corresponding strategic objective to analyze and improve service across all demographic market segments. In the second step, you determine that for service to be improved in these targeted markets, the critical success factor areas must include “improved communication”, “culturally appropriate interactions”, quick access, increased satisfaction, and accurate information. Finally, these critical success factor areas lead you to select diversity performance measures and indicators that support each critical success factor area such as the “percentage of multilingual service transactions delivered”, “number of rings to answer” when a customer calls the organization, “percentage of favorable response on your diverse customer satisfaction survey”, etc. This type of alignment drives improved performance and gains top management support. Both Diversity Process Consulting and Diversity Intervention Consulting can offer strategic value to the organization. The key is how well each Performance Consulting method meets critical needs of the business to drive its goals, outcomes and success. At what value level would stakeholders rate your internal Performance Consulting methods today? What do you need to do differently to enhance your role as a value-added business partner?